On January 5, General Secretary Xi Jinping gave an important speech at the opening of a study session for the spirit of the 19th National Congress of the CCP, clearly pointing out that our nation now stands at a time of great prospects and historic opportunity. 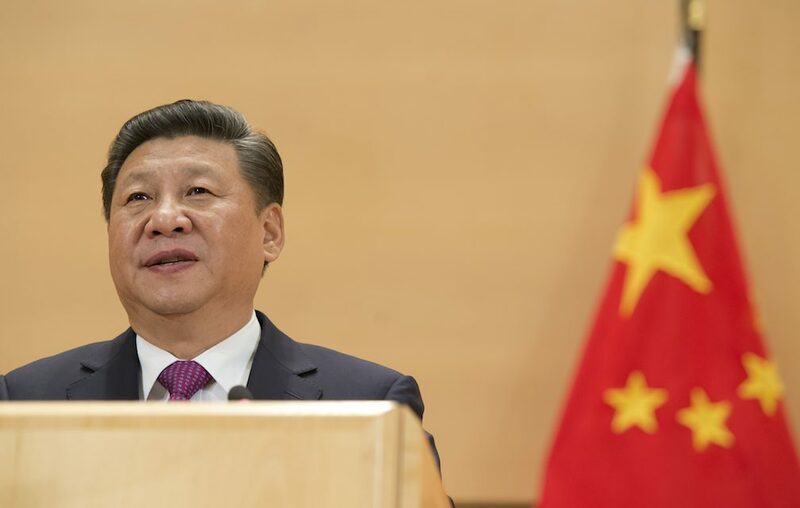 This was General Secretary Xi Jinping’s comprehensive survey of historical advances in the past, present and future, and it looked at the ebb and flow of the country, political parties and the national people, making major strategic assessments. [It] was an expression of how the nation and the national people have entered a new era of socialism with Chinese characteristics, and it revealed a far-sighted Chinese Communist Party that can see history clearly, and has the courage to make history. Coming upon this great age, we have matchless pride and self-confidence; facing this precious historical opportunity, we have a great sense of responsibility. Let us give firm allegiance to the core (拥戴核心), standing loyally with the leader (紧跟领袖). The 19th Congress marked an unmistakable elevation, with Xi Jinping being “crowned” with his new banner term, “Xi Jinping Thought of New Era Socialism With Chinese Characteristics” (习近平新时代中国特色社会主义) which was quickly shortened to “Xi Jinping Thought” — putting Xi more or less on a level with Mao Zedong. And in the wake of the congress, we saw various efforts at the local and provincial level to voice allegiance to Xi. Qianxinan Daily refers to Xi Jinping as “Great Leader” in a caption in November 2017. 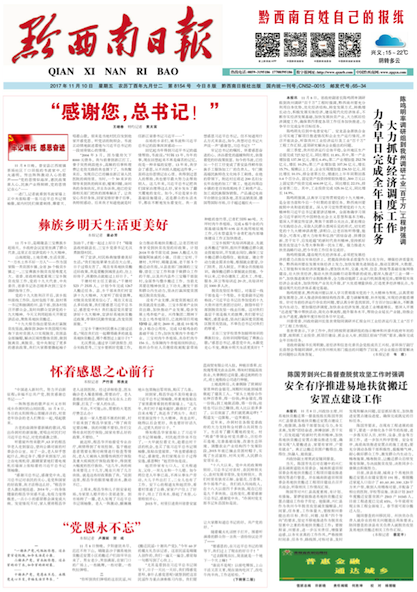 The same edition of Qianxinan Daily eventually shows an entirely new layout and content. 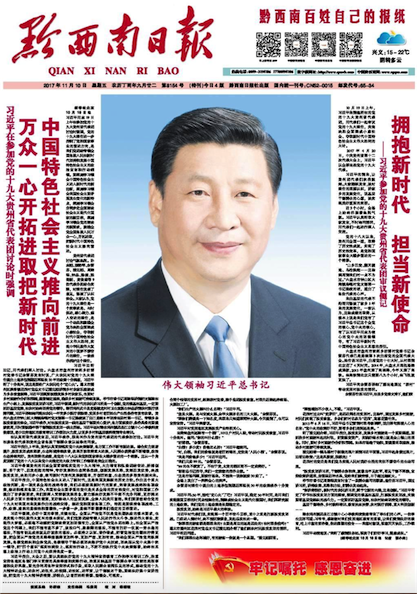 The word lingxiu appearing as a designation for Xi Jinping in this prominent piece in the People’s Daily is significant because this is the first time this elevated title has been extended in the pages of the Party’s flagship paper. As we saw above, the strongest praise has come up to now from local jurisdictions scurrying to show their allegiance. It is the first time for People’s Daily to refer to Xi as lingxiu. The CPC identified Xi, general secretary of the CPC Central Committee, as the core of the Party in 2016. Three guesses as to who is the leader — the lingxiu — of this new international order.